For me concentrating has always been a struggle. In college I worked to find strategies that helped me focus and study better. I learned that if I was engaging multiple sensory receptors or activating both hemispheres of my brain, my productivity enhanced. My two biggest go-tos were listening to classical music and sitting on a balance ball. An unmentionable number of years later, not to reveal how old I am, I find myself out of college with a family and house to manage. 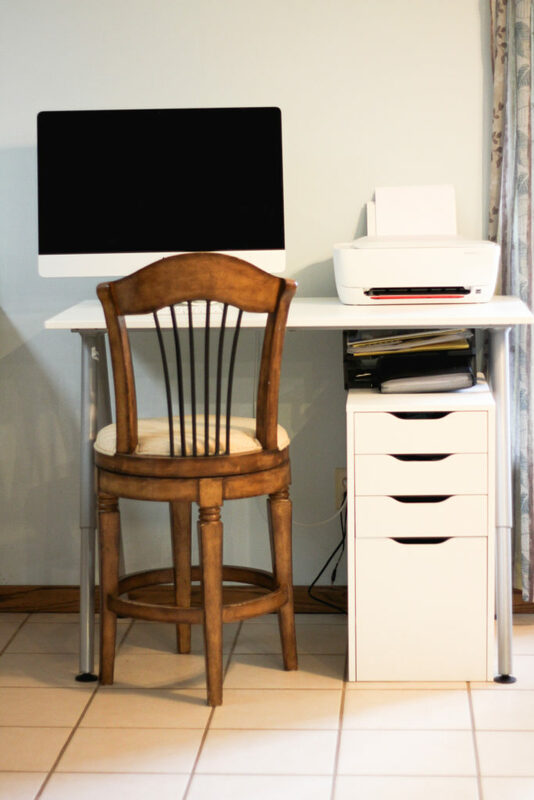 When we moved, my husband and I set up an “office” for me to blog, design, and edit my photography. I say “office” because it is literally in the middle of my kitchen. I didn’t want to be out of eye sight of the kids’ play space, not to mention we use our Mac for everything including recipes and entertainment. We chose an adjustable desk so that for the time being we can keep all technology out of reach of little hands. I also had the full intention to use it as a standing desk. Standing desks are all the rage right now and I knew with my focusing problems a chair wasn’t going to cut it. Also can you imagine what two toddlers could destroy or harm with a giant bright colored bouncy ball?! There was no way I could have gone back to my college strategy of a balance ball. After about a week of standing at my desk I gave up. Besides my feet and hips killing me, standing gave me all the more reason to be distracted. I’d feel the urge to walk around a bit and suddenly I was knee deep in a completely different task. I also found myself shifting my weight, leaning, swaying, and cracking my toes. All things that I am sure are not only the intention of a standing desk, but not healthy. I eventually moved to a swivel chair hoping just some slight movement would help. It resulted in my legs falling asleep and a lethargic body from not moving. To my surprise, one day on Facebook I saw an add for Fluid Stance! I instantly knew it was a solution I wanted to test! 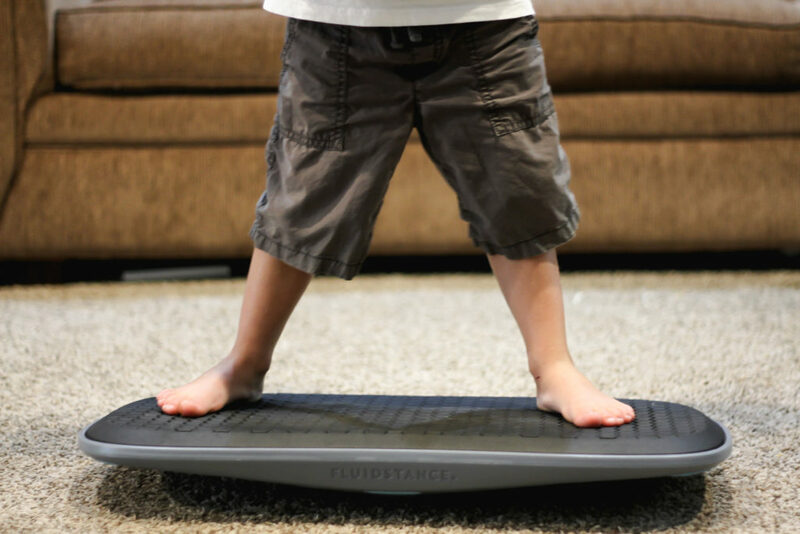 FluidStance was founded in 2015 by father and health enthusiast Joel Heath. He seemed to have experienced some of the same issues I was having with standing and therefore created a solution in his garage. 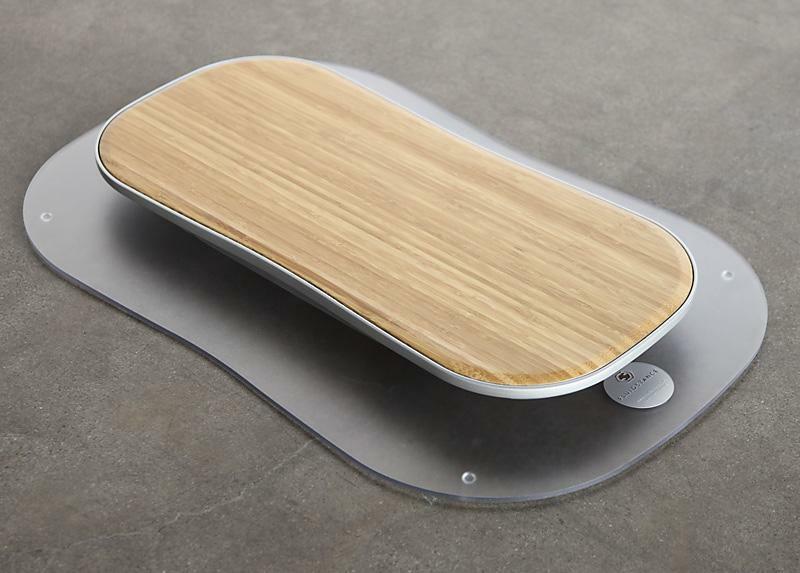 All FluidStance decks are designed to bring constant motion to any workspace and promote better physical, emotional, and intellectual health. The precise design allows optimal movement in a work environment that it professional and healthy. With a FluidStand your body can stretch, move, and fluently adjust while still allowing you to accomplish your daily responsibilities. 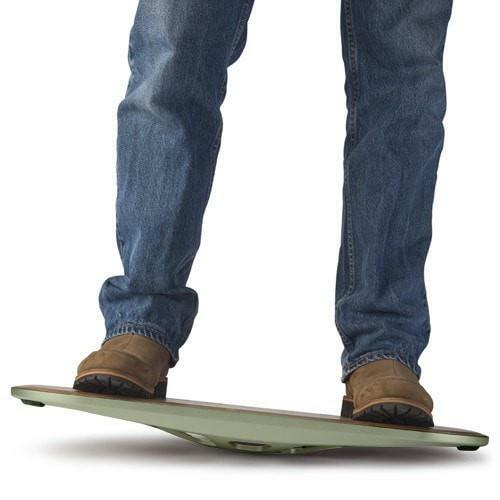 In addition, FluidStance goes the extra mile to use eco-conscious materials, work with local companies, and choose sustainable manufacturing processes. Their durable boards are built to with-stance the test of time and come with a life time warranty against manufacturing defects. 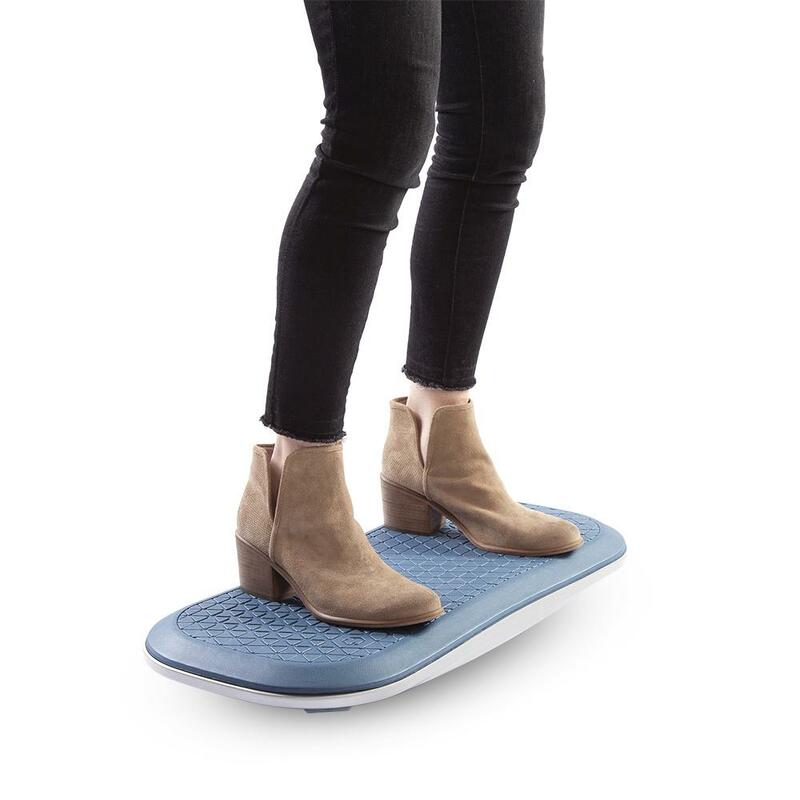 And if that didn’t sell you, FluidStance has actually had third-party testing by the Mayo Clinic and received a NEAT certificate from Mayo Clinic. 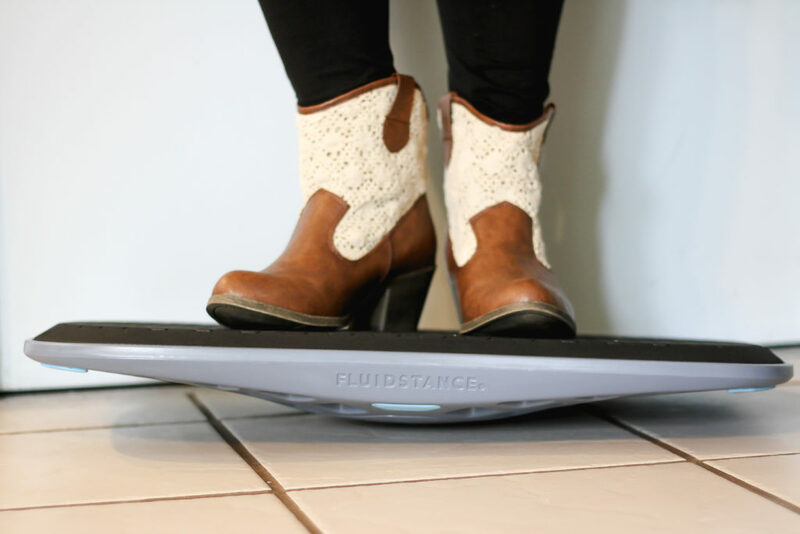 The FluidStance Level increases energy expenditure and assists your body in actively burning calories while you work. 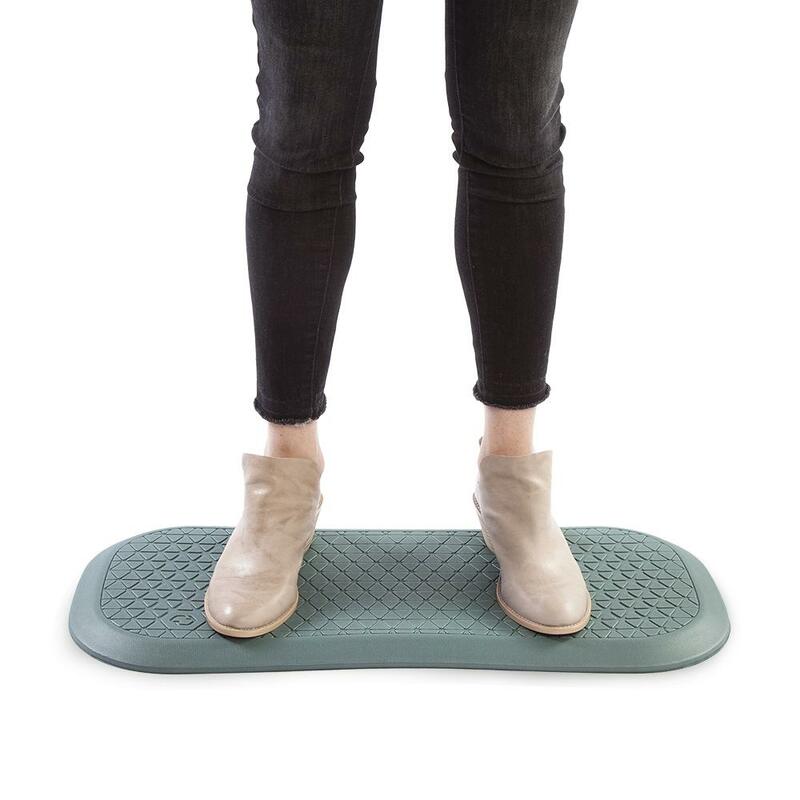 Heart rate was proved to increase 15% when using a FluidStance instead of sitting at a desk. 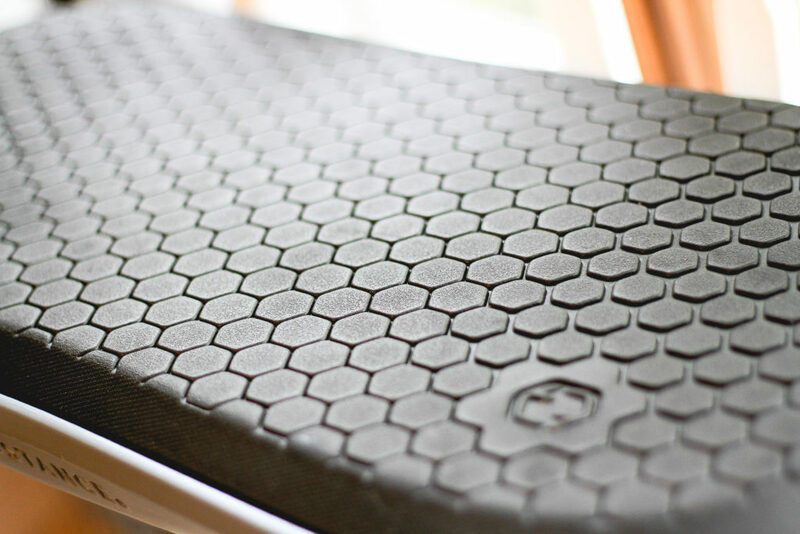 The Level allows your body to move in three dimensions. 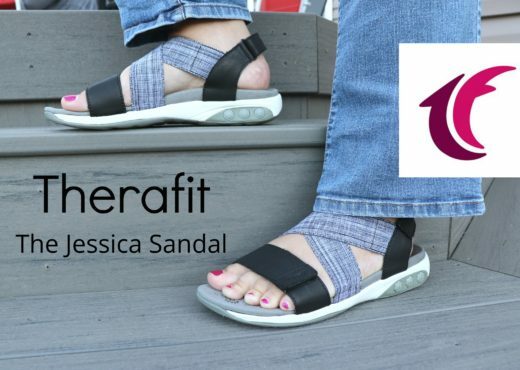 With the use of their patented technology, The Level has reasonable limits of motion to keep users safe and comfortable. Focus and productivity were in mind when designing The Level. 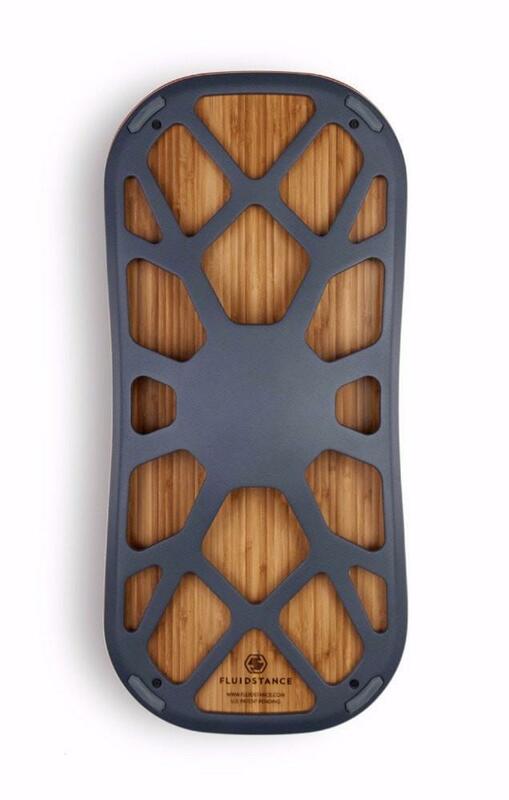 FluidStance not only wants to keep you healthy but productive. I put FluidStance to the test with the The Plane Cloud deck. 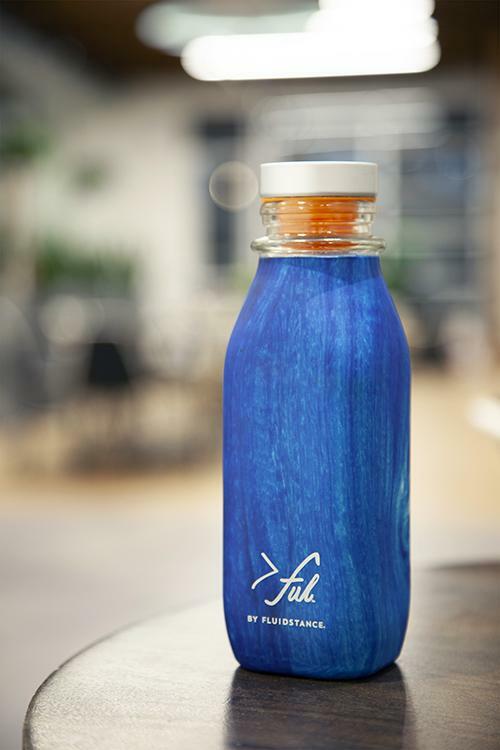 The first things I noticed was the 100% recyclable foam top! I knew it was already a step up from my hard cold tile floor. Having cushion with some give significantly reduces the pain I have in my feet. My husband and I have actually both started using it in the kitchen while preparing food or doing dishes. Our backs feel better, our hips aren’t popped, and our cores are stimulated. I also was so surprised how easy it was to balance. At first I thought it was going to be a hazard, that I might loose balance or the deck would slip out from beneath me. 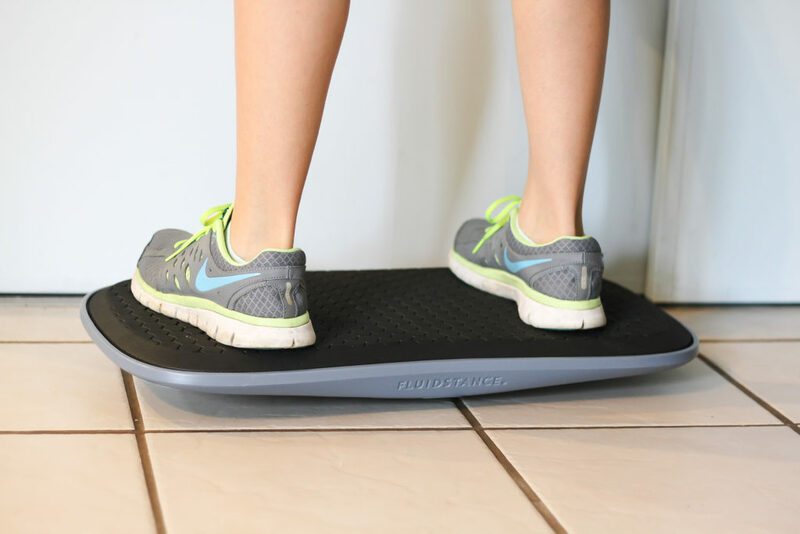 However, FluidStance holds true to their word of creating a design that helps you fluently move without getting you in a position of danger. I do have great balance but my husband and toddler can both stand, twist, and rock without any problems. My 2 year old can also hold onto a table and rock herself. Even on title floor, I find it next to impossible to quickly scoot the board from the laid location. The movement is the perfect amount. I feel completely in control and each movement comes naturally. I can casually shift my weight, stand on one foot, lean, and reposition my feet. Its like standing on the ground but rather than your body meeting rock with each movement you find a fluid wave that is gentle and subtle. My kids love it! As an educator I see the need for movement and keeping kids active. 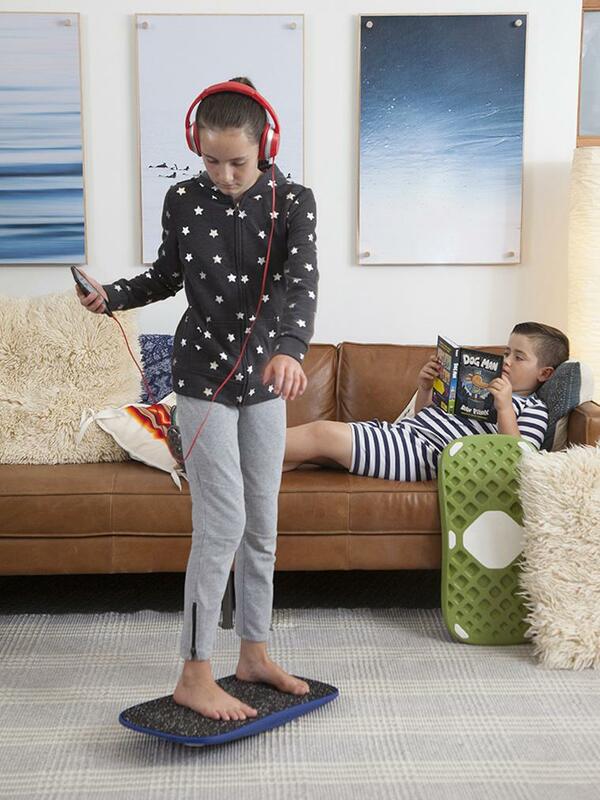 My kids use the deck to rock, twist, and spin. They work on balance by walking from one side to the other or laying across the top. My son calls it his skateboard, which is a gift he has been asking for. 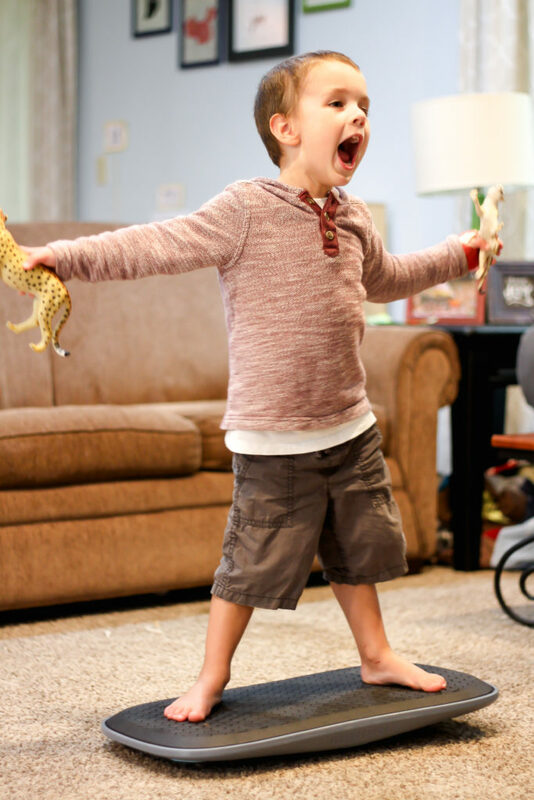 I like to think our FluidStance will help him develop the muscles and coordination to eventually take on a real skateboard. 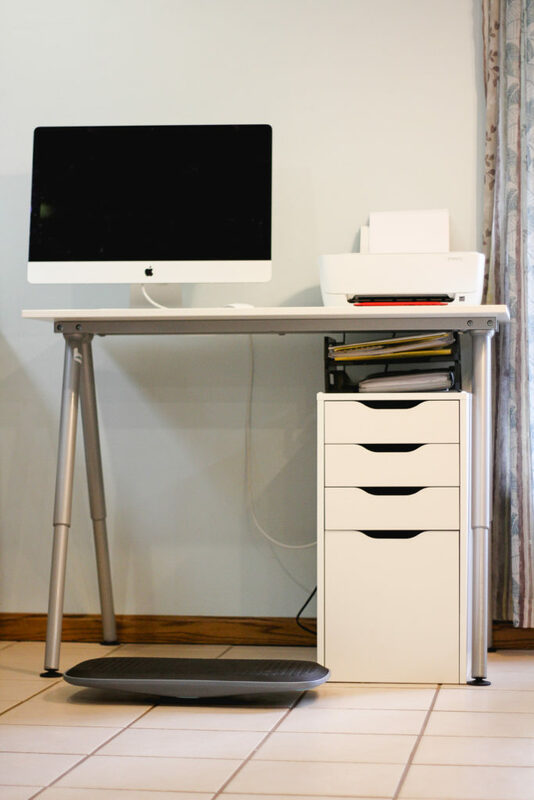 I feel secure in having my Level at my desk without the risk of my kids hurting themselves or breaking something. 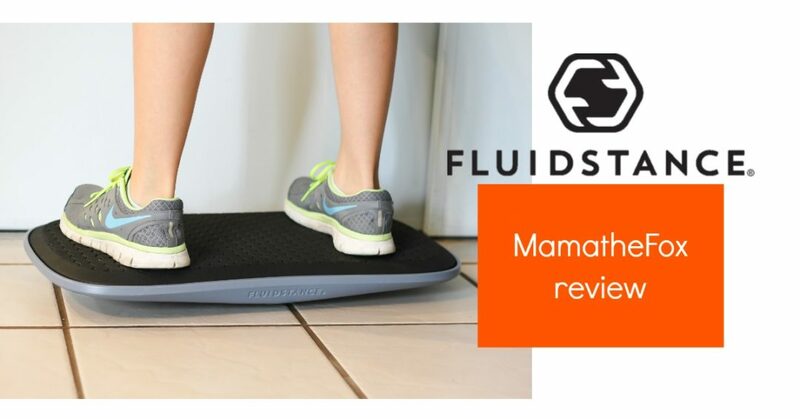 We hope you take the chance to check out FluidStance as your movement solution. The Level supports a healthy solution while bringing productivity and focus to your work! Love this…would be perfect for the office.